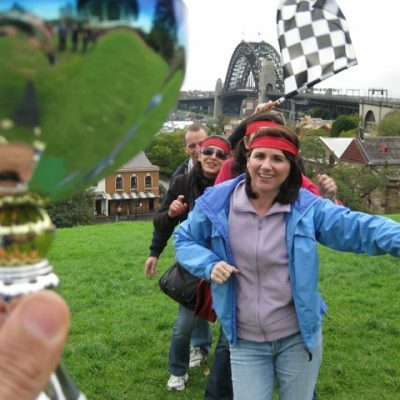 Sydney Amazing Races is the ultimate outdoor team building activity for your work to enjoy. The activities will take you on a journey through Sydney to your pitstop location or celebration venue. This activity is great fun for corporates, staff, friends and businesses. Looking for a competitive team activity anytime. Filled with exciting team building activities or out of the office team bonding just for fun! Accomplish a series of rewarding social or corporate team building activity challenges. Around the world’s most spectacular Harbour, Sydney! 5 Package levels to select from; # 1 is just for Fun. #2 a Mystery Mix is The most Popular for budget and selected by most PA’s and EA’s. Package #3 is a Thrilling Team Building Activity Sensation including more facilitation, problem solving, communication and collaboration. Equals greater motivation. Group Memorabilia Shot to remind your staff and friends of their shared experience. 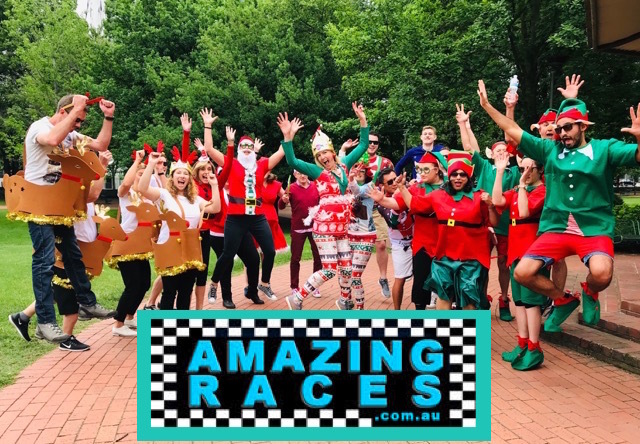 Amazing Races takes your teams to iconic locations within Sydney’s Rocks, Circular Quay, The Botanic Gardens, Darling Harbour or Barangaroo, Pyrmont, Redfern and Surry Hills. 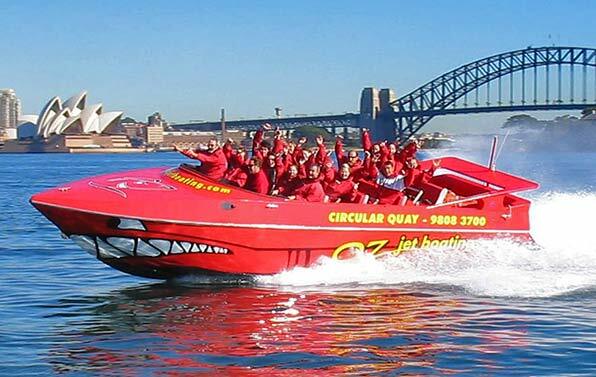 Cross Sydney Harbour by ferry, water taxi or jet boat to access Darling Harbour, North Sydney, Cockatoo Island, Clarke Island or the famous Shark Island. We even includer Luna Park Just for fun! Why? For EOFY and Christmas Work Parties. Active Celebration Races can take in The Opera House, Harbour Bridge Express Climb, Mrs Macquaries Chair or even Taronga Zoo for some Wild Ropes Course action. Feel like getting to the beach; Let our Amazing team take you there! Manly Beach, Bondi Beach, Coogee Beach or Balmoral. Anywhere there is sand and beaches, we will create a memorable journey for your staff to experience. 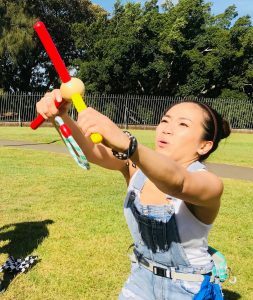 Complete fun challenges, tasks, puzzles, games, skills and routes that can be extended to incorporate; Hyde Park, Pyrmont, Surry Hills, Circular Quay, Burrangaroo, Newtown, Surry Hills and Darling Harbour or King Street wharf. Start directly in your Sydney CBD business offices, on Observatory Hill The Rocks or from the Sydney International Convention Center in Darling Harbour. Race to the finish line in a great pub or restaurant. 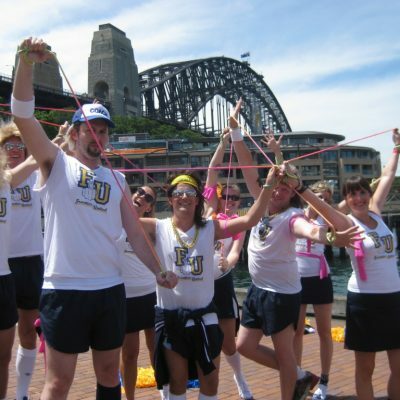 Your #1 For Fun Sydney amazing race activities are in an award winning format. That have all your staff, employees and friends enjoying an excellent time. Participating at their ability level. We custom build exciting team events to cater for small to large corporate group events. With over 1,890+ amazing races conducted. 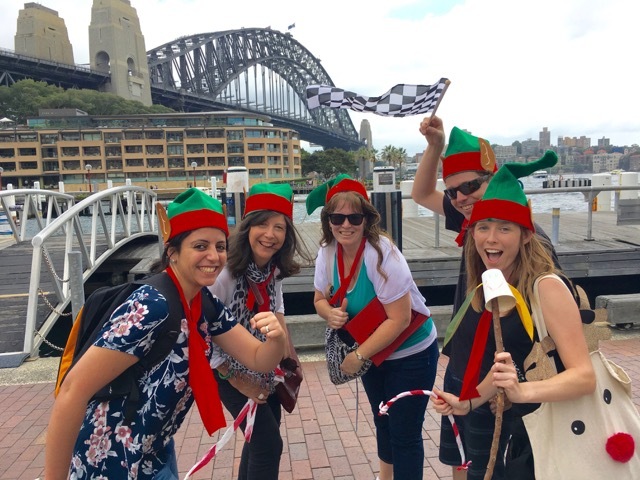 Guaranteeing our EOY corporate games race or Sydney XMAS Party team building activities and Christmas activity event services are #1 – second to none. 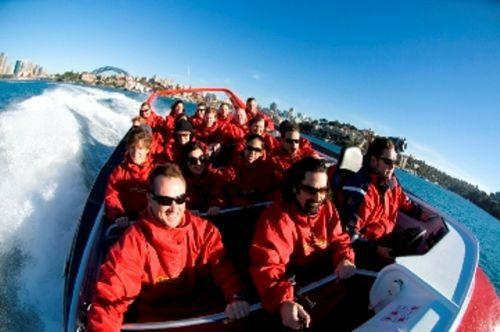 Custom built exclusive team race activities experiencing and exploring the CBD or venture out to North Sydney, Bondi Beach, Coogee, Blue Mountains or Manly Beach. Include awesome Pubs in Pyrmont, Surry Hills, Darlinghurst, Wooloomooloo, Kings Cross, Redfern, Glebe and Newtown. Transport options can Include; Uber, London Cabs, Kombi’s, Bikes, London Cabs, Hummers, Helicopters, Taxis, Ferries, Water Taxis, Bikes, Trains or on foot through Hyde Park, China Town, Westfield, Pitt Street and along George Street to the Town Hall Wedding Cake and QVB. Head downtown to King Street Wharf, The Aquarium, Wildlife World or Maritime Museum in Darling Harbour and Cockle Bay. Taste wine cider or craft beers in The Rocks Pubs to launch upon ferry, water taxi or yacht sailing to Sydney Islands, explore the freshest venues in Barangaroo. Get an awesome Team Building Fix or Team Bonding Corporate Group Event for 15-100’s of staff, employees and workers laughing together. Your event can be based on maximum points or super competitive, 1st across the winners line. 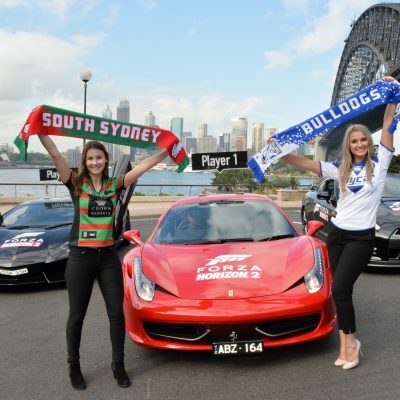 Start at any location and finish with winners celebration drinks at The Rocks, Circular Quay, Barrangaroo, Millers Point or Darling Harbour. Ideal for getting to the secret staff office party. 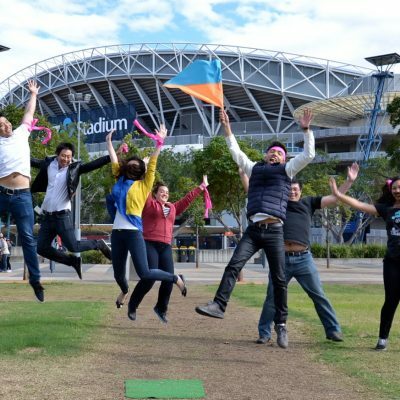 Become The next Amazing Sydney Race Champions! Bask in the glory of winning this function event with ultimate bragging rights back at work! 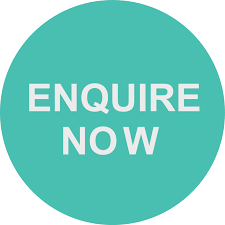 Free* End Of Financial Year EOFY Offers – Enquire now.